6 hrs and 17 minutes to go till the deadline and I'm done!! I think I will weep because the process of getting my photoshop back on my computer was a brutal, brutal journey. 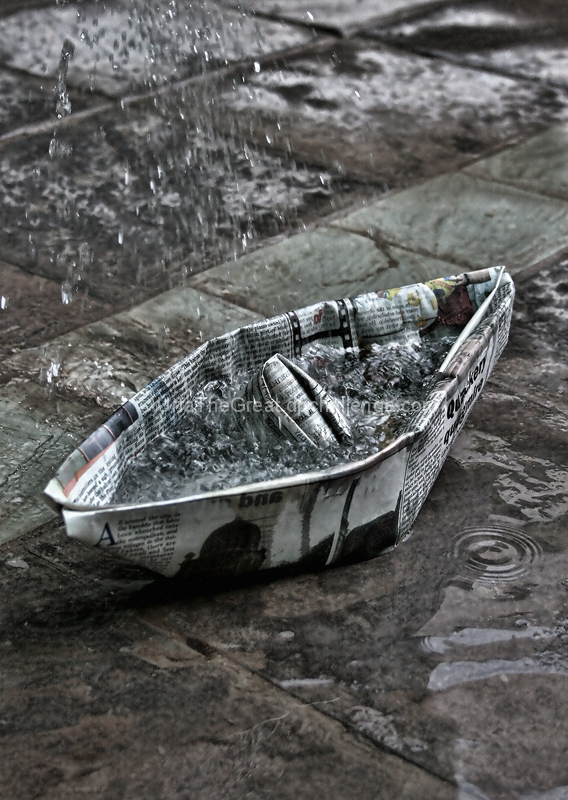 For this image I learnt how to make a paper boat.. and everyone was I told was like eh? Oh well, some accomplishments are meant to be enjoyed alone.. This image will be lost in some lovely HDR but oh, well.. at least I'm back on DPC!!! woohoo.. I gave my project presentation this week (we made an electromagentic flow meter)and my final year project is officially over!! not.. I just remembered I need to finish that report.. This is more about the concept then about the execution though.. so I predict 5.3?! Very nice. I like the turbulence in the collection of water in the boad. It's a shame the falling drops and the water isn't most stationary than it is in this. Proudly hosted by Sargasso Networks. Current Server Time: 04/21/2019 04:24:24 AM EDT.